Jonny did his undergraduate research at Brown University with Professor Sello in the area of rare-earth metal catalysis for 4-component Ugi reactions. 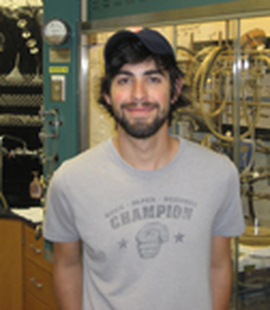 At Caltech, his graduate work focused on the syntheses of Transtaganolide and Basiliolide natural products. He is a Los Angeles native who is a big fan of the L.A. Lakers and the L.A. Dodgers.